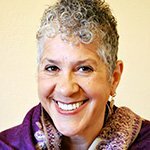 Shakti Butler, PhD, is Founder and President of World Trust Educational Services, a non-profit transformative educational organization. Rooted in love and justice, World Trust produces films, curricula, workshops and programs that are catalysts for institutional, structural and cultural change. Shakti is an inspirational facilitator, trainer and lecturer who is sought after by schools, universities, public and private organizations, and faith-based institutions. Dr. Butler has produced four documentaries: The Way Home; Mirrors of Privilege: Making Whiteness Visible; Light in the Shadows and Cracking the Codes: The System of Racial Inequity. These films form the core of World Trust's teaching tools, and have experienced increased exposure -- 23 million views of one clip alone -- generating national dialogue and critical thinking that is impacting institutions and communities across the country. Most recently, Dr. Butler served as diversity consultant and advisor on the Disney animated film, Zootopia, which focuses on challenging bias and systemic inequity. Shakti's work incorporates whole body learning through stories, art, movement and dialogue. Her current film/dialogue project, Healing Justice: Cultivating a World of Belonging, is intended to popularize a national conversation about justice, responsibility and healing. Working on social justice and racial equity? If you include attending to white culture and privilege as part of that work, you'll reap important benefits. Understanding white culture — along with its embedded historical privileges — provides valuable insight into a larger system of inequity.